TTL Air sales are working around the clock to ensure your air freight shipment(s) arrive safely and in a timely fashion at any destination across the globe. Our teams of experts communicate and coordinate on your behalf at both ends of the shipping route for your import and export commodities. Contact our customer representative today at NATIONAL CONTACTS about our air cargo services and rates. TTL Sea shipping departments are offering its extensive expertise within one of the widest ranges of ocean freight services available on the market – container transportation, including all kinds of container types and transport modes. We provide Land shipping, RO/RO transport links, LCL and FCL shipments to/ex major ports worldwide, heavy loads, transit service, and oversized shipments. Personal care is given to every item going into a container or arriving on board. TTL Earth departments are premier providers of truck freight shipping services, with routing inbound freight to and from points throughout the Hinterland Europe, CIS area , and any place located on Black Sea shore, as well as outbound shipping to and from points within the continental Asia, many Mediterranean countries. Dedicated truckload backhauls from many inland points and contract truckload service are offered. TransTerra Logistics is a niche freight group offering flexible supply chain solutions through seamless logistics services. 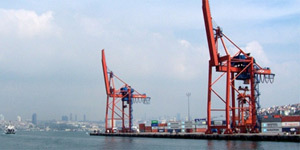 As an ocean shipping empowered business, created through an alliance between regional know how shipping & logistics management, since early 90s, and GTI – one of largest transport groups operating into regions of Black Sea and CIS, established in 2002, we manage the entire freight and logistics process, strengthened by our strategic partnerships with reliable international network of over 11countries. TransTerra Logistics’s division of liner offices operates as an agent for Nippon Yusen Kaisha (NYK Line). We supply high shipping standards using our knowledge in liner maritime services, specialization in port agency and multimodal transport operations, on-time delivery and tracking technology, this way to expand into complete logistics cycles. Combining the network facility and environmental liner services our TTL Management keeps the concept of Safe Way and Safe Land for all shipments effected. we virtually perform an every kind of logistics service of the supply chain, including Freight Forwarding and Third Party Logistics Services. TransTerra Logistics group operates with reputable freight forwarding leaders worldwide offering our regional knowledge, rich experience and complete cargo handling packages. 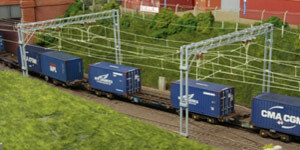 We provide flexible, effective, customized surface freight services solutions to our customers.